Mexican food outside of North America generally comes in varying levels of mediocrity, and Ankara is no exception. The options for satisfying your south-of-the-border craving are limited to the one and only Mexican place in town, Las Chicas. It’s actually not as bad as you would think. I’ve always left Las Chicas feeling quite content. 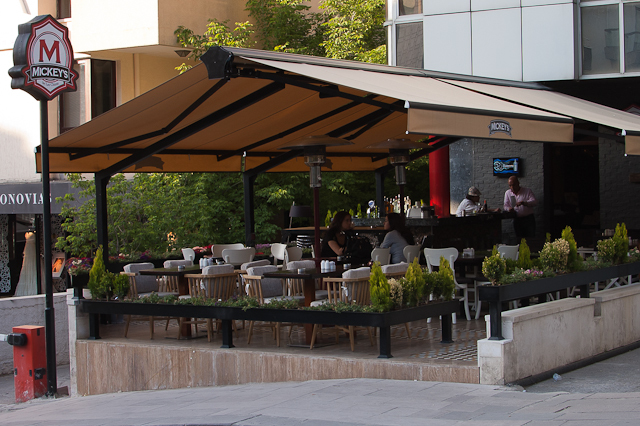 It’s a welcome change from the monotony of kebabs and other staples of Turkish cuisine. Is it authentic Mexican food? No. But without question Las Chicas plays a necessary role in the life of any expat living in Ankara, even if it does serve Doritos with its salsa. This weekend I found that Las Chicas has been rebranded as ‘Mickey’s by Las Chicas’. As the Americanized name suggests (evoking Disney, I suppose), the restaurant has taken on the style and tone of the ‘casual dining’ establishments popularized by my native land. The menu still contains Mexican favorites, but now includes items very much at home in an Applebee’s or Chili’s. The burritos at Mickey’s remain pleasing; I was quite happy with my ‘Hot BBQ’. The ‘Supreme Nachos’, while generally a standard, unimaginative appetizer in most places, were impressive because they feature homemade tortilla chips. These are not a common sight in Turkey. The more conventional items on the menu, such as the fried chicken salad and sandwich, were about what you’d except: tasty, safe, but basically average. The highlight of our meal at Mickey’s was the ‘Spicy Buffalo Wings’. Too often in this country the label ‘spicy’ is applied with excessive liberality, rarely appropriate in most cases. (Seriously, Turks, acılı adana is not spicy at all; you won’t convince me otherwise.) But these particular buffalo wings delivered good, strong flavor. They would be a respectable offering in America, and in Turkey they’re essentially a delicacy. I suspect my friends and I will be visiting Mickey’s again soon for some more. Mickey’s by Las Chicas is located on Arjantin Cad. in Gaziosmanpaşa (Google Maps). 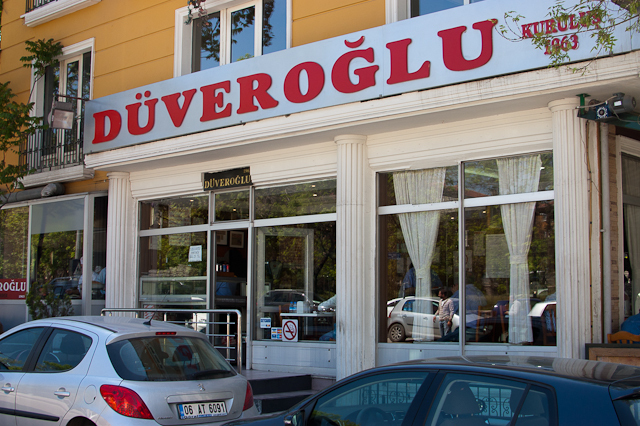 There is another branch in Çayyolu. Prices are high in accordance with these more upscale locations. Appetizers range between 10 and 15TL ($6.50 and $9 at 1.54TL/$), and most main courses will run you around 20TL ($13). Alcohol is served, although it’s offensively expensive. It should be a crime to charge 7TL ($4.50) for a 33cl bottle of Efes.